No visit is complete without a stop to the hub of history and entertainment. The place that birthed our most important documents of the country: both the U.S. Constitution and the Declaration of Independence. Independence Hall is flanked by various historical buildings and the Liberty Bell, where you can hear great stories about the history of America. If you want to see a stark contrast of past and present, look no further than America’s first town. Cobblestone streets and brick housing will send travelers back to America’s past. Elfreth’s Alley contains actual housing that can be bought by the public, so it’s not simply a static museum. Stop by and meet the men and women who reside in America’s oldest neighborhood. Art lovers and historians know that, despite New York and California getting the majority of the attention, Philadelphia has one of the best collections of artwork in America. The iconic building that it’s housed in are also more comfortable for fans of the film”Rocky” where they filmed the iconic scene of Rocky running up the steps. Here you will find another classic cross-section of historic and modern Philadelphia. You can visit the historic City Hall or the popular Chinatown district, for example. Another Fantastic museum awaits you at the City Center, as well, the Pennsylvania Academy of Fine Arts Museum, along with the Civil War Library and Museum. Take a moment to unwind at this scenic historic park which comes alive during the Spring. You will have access to the best museums and attractions in Philadelphia within walking distance, such as the Philly Zoo, Rodin and Philadelphia Museums, along with a traditional Japanese House and Garden. Throughout the park you will find various outdoor activities, such as tennis, hiking, and children’s playgrounds to keep you busy on a gorgeous sunny day. 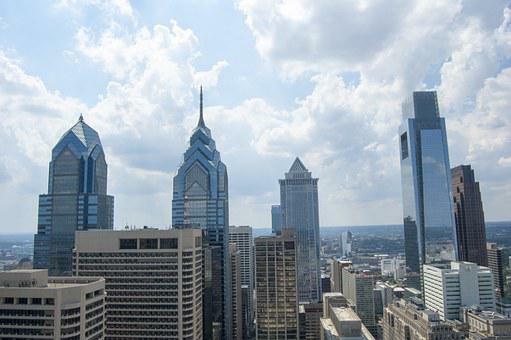 Get lost in the terrific community and culture of Philadelphia in the most popular market in the nation. This is where you can taste all the Philly-native foods, hand-made, fresh, not frozen, and enjoy the beautiful scenery while you gorge yourself. Six thousand people come through the Reading Terminal Market each year, we are positive that amount would be even higher if you relied on repeat visits. America’s first zoo is home to 1,300 animals, 42 acres of enveloping Victorian gardens, and amazing metal sculptures, which extends into the animal’s enclosures. Animal-lovers and nature lovers can’t miss this opportunity to see so many rare and beautiful species in one place. This revered science establishment must be seen to be believed. It is a massive museum housing numerous popular exhibitions that are fantastic for all ages. You can learn about space, sports, electricity, climate change, and the human body, all in 1 day. This is the only museum in the world that’s dedicated to the most important documents of the country. Inside you’ll find historical items and hidden secrets that lead up to the creation of The Constitution. You will even find 42 full-size bronze statues of the Founding Fathers, throw in remarkable detail. Last, but not least is the interesting and enlightening experience presented by the Temple School of Podiatric Medicine. This shoe museum is everything and anything about the shoes that were worn in the past and present. Starting with the very first humble beginnings in Ancient Egypt, you’ll find examples of iconic shoes throughout history, as well as those worn by modern celebrities. Dubai is one of the seven states that make up the United Arab Emirates (UAE); it is situated in the Middle East. The United Arab Emirates was formed in 1971 by the then’Trucial States’ after their independence from Britain. The UAE is governed by a Supreme Council of Rulers, the council consists of the seven emirs and they appoint the prime minister and the cabinet for the country. Despite being ultimately dominated by the Supreme Council, just like the other six countries, Dubai maintains a large degree of autonomy from the UAE as it comes to overall decision making for the city’s development. Oil was first found in the United Arab Emirates in the 1950s, before that the country’s economy was built on fishing and pearling, since 1962, when Abu Dhabi became the first of the emirates to begin exporting the oil, the country’s economy was completely transformed. Sheikh Zayed, who has become the president of the UAE since its inception, quickly understood the economic potential for the country in the petroleum industry. He has continued to ensure that each of the emirates benefits from the oil generated riches, he has insisted on the reinvestment of oil revenues into the medical system, the education system and the general national infrastructure. The development of the oil sector has resulted in a massive influx of foreign workers to the UAE, in fact Dubai’s population is the fastest growing in the world and the foreign population makes up about three quarters of the full UAE population! As a direct consequence of this fact the UAE is one of the most liberal countries in the Gulf, along with other cultures and beliefs tolerated. Dubai has also been quick to understand the need for diversification. Oil in the area is only projected to last for approximately 30 years and so Dubai has successfully embarked upon a major diversification program aimed to in growing industries and commercial enterprises to take the place of oil as the predominate commodity of the state’s economy. The climate in Dubai is sub-tropical and arid or desert like. The town enjoys almost year round sunny blue skies. Temperatures range from lows of 10°C to extreme summer highs of 48°C. The average maximum daily temperature in January is 24°C and the average maximum daily temperature in July is 41°C when humidity is extremely high. Dubai is recognized as the commercial and tourism capital of the UAE and is globally considered as one of the most sophisticated, futuristic and cosmopolitan cities in the world, in fact Dubai is something of a phenomenon! It’s an Arab Muslim society with the quickest growing foreign population from the world, and it has successfully developed stability through ethnic diversity. It’s a town with unrivalled levels of economic energy and architectural ambition, a unique city of contrasts where the most modern and architecturally stunning skyscrapers stand alongside conventional beautiful Arabic structures. 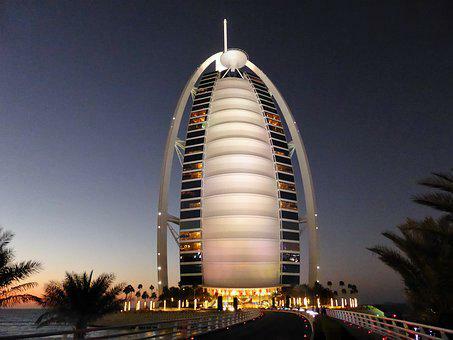 The experiences and attractions offered in Dubai are many and diverse. From the miles of pristine beautiful white sandy beaches to the richly exotic Arabian heritage, from the awe inspiring majesty of the desert to the lively international bars, restaurants and nightclubs – a visitor to Dubai is guaranteed an incredible, never to be forgotten experience. In 2003 Dubai was voted safest holiday destination in the world by Conde Nast Traveller magazine, and in fact Dubai is recognised globally as one of the safest cities in the world. Living in Dubai you will see it is virtually crime-free with the Dubai police ensuring personal safety and security. Anyone found guilty of committing a serious crime will be severely punished. Alcohol and drug related offences are deemed serious. The economy of the city of Dubai is a mainly service-driven economy, with every business amenity from banking to telecommunications provided. Worldwide trading and industrialisation are actively encouraged through the provision of favourable tax advantages, offshore status, specialist free trade zones etc.. Recent innovative projects in the city include the base of Dubai Media City and Dubai Internet City, bringing 21st century technology to Dubai in the world’s first’Free Zone’ wholly devoted to e-business. If you are considering moving to Dubai among your first thoughts will undoubtedly be finding somewhere to live. This isn’t something you’ll find too tricky, there are a number of companies advertising rental accommodation in the classified sections of local newspapers and they provide everything from private villas to luxury apartments or even shared accommodation. Whatever your financial and lifestyle requirements are, the specialist relocation and housing companies will be sure to have something to help you. If you choose to find your accommodation privately and avoid any agency costs, many men and women use supermarkets notice boards to advertise or request accommodation. In terms of which regions of the city provide the sort of accommodation you’re after, Jumeirah, Umm Sequiem and the Safa Park area are upmarket and extend villa-type accommodation. Satwa and Garhoud also offer villas but are slightly more affordable. Rashidiya, Mirdif and Al Quoz are mainly Arabic areas and they actually bring in a good deal of expats. If you are after an apartment that the most popular areas are about Bur Dubai, the Sheikh Zayed Road with cheaper flats are available in Deira, Satwa and Karama. Some of the more exclusive apartment developments offer shared gym and pool facilities together with garaged car parking and the like. If you are contemplating moving to Dubai with family and are interested in finding out about the education system and the availability and quality of schools, among the best methods is to ask around! Due to the numbers of expats in Dubai there is truly a high number of primary and secondary schools from which you can to choose. Most colleges are private fee paying schools and the best way to get an idea of the reputation of a school is to ask friends, colleagues and other expats who live in Dubai. Many of the schools also have their own sites where you can learn about the curriculum they follow, after school programs etc.. When it comes to registering your child in the UAE there are a few restrictions you should know about. For example you are not allowed to change your child’s school during the academic year. . .unless approval is provided by the Ministry of Education and the circumstances are’special’. This means that you have to make sure that the college you choose for your child will definitely suit them. Another limitation you should be aware of is that is you proceed to Dubai on or after the 1st May each year you can’t enrol your child into the schooling system for that year. Instead you’ll have to enrol for the start of the new school year which is usually the beginning of September. Another consideration you might have if considering relocation to Dubai may be the condition of the health care system accessible there. It’s reasonable to say that Dubai has many very well equipped hospitals and operations. Dubai’s Department of Health and Medical Services runs Dubai, Rashid, Maktoum and Al Wasl hospitals, with Dubai Hospital among the best medical centres in the entire Middle East. Working in Dubai you will enjoy a tax free salary and all shop goods can be purchased at tax free prices, which makes it a remarkably attractive city to global workers and international companies. Job opportunities in Dubai and varied and plentiful, especially since the additions of the Media and Internet cities. . .Dubai is a city expanding its horizons in an unrivalled pace. It is important to mention that a few countries worldwide have tax laws enabling them to tax their nationals on their worldwide income. It’s important to check your standing with an international accountant before taking up employment in town. Dubai has a thriving expat population who make the most of their tax free lifestyle in this amazing city of opportunity. The nightlife in the city is excellent, with cocktail bars, wine bars, themed bars and typical British or Irish bars available, many of which offer food and entertainment as well. High standard global cuisine is offered in the city’s many restaurants and if you’re searching for lively evening entertainment there are a lot of night clubs around the city. A few of the clubs attract international DJs; there are also Middle Eastern, Indian and Asian nightclubs offering entertainment with singers and dancers. Dubai also welcomes international touring singing and entertainment functions that cater to all tastes and ages. . .from traditional theatre groups to ballet, from opera to international rock and pop bands – all are regular visitors to the United Arab Emirates. You can be sure of an exciting pace of life in Dubai and a high standard of living. Are Feral Cats Driving You Crazy? Chances are if you reside in a rural or even suburban surroundings, you live near feral cats – skittish, roughened wild cats that may look like they want some human help, only to run away when approached. These cats are not tame and in no way eager to become a house cat and are perfectly capable of living out on their own, whether it hurts some of the ecosystems or not. If you find yourself surrounded by these untamed creatures, you have many alternatives. One, you could leave them claim they are simply not your problem. This is a favored option for many but by no means a good one. There are over 70 million feral cats in the U.S.A. scientists and alone rightly blame the extinction of thirty-three species of bird on such huge number of cats: cats that hunt, kill and eat a number of birds, reptiles and rodents. This overpopulation could quickly result in the extinction of other birds and perhaps even some prey mammals. Plus, who wants the reek of a feral cat spraying on its land underneath and around their carport? Yuck. The second option would be to begin feeding them. This is a much better alternative, but still not perfect as your third option, which we’ll discuss in a moment. Feeding these cats at set times during the mornings or evenings and putting a homemade shelter for them is a fantastic idea – cats that are not hungry will pounce half-heartedly and are a lot more likely to wind up empty-pawed after the hunt. But this also results in several different problems: spreading diseases and overpopulation. 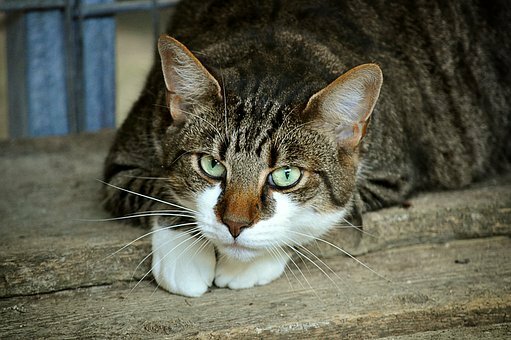 Diseases such as toxoplasmosis, parasites, and rabies can spread through a bite or scratch when a neighborhood pet mingles with a feral. In turn, diseases can be spread into the unsuspecting owners when they are animal interacts with them. The illnesses can lead to death in some occasions, and despair follows after an animal’s death on account of the sicknesses. This means that the disease could be spread to your cats and potentially to you and your loved ones! This adds to the population, increasing the risk factor of all the previously mentioned points. As the cats’ caretaker, you’d also have to increase the food you put out for the animals daily due to the additional mouths to feed. You’d also be given the task of taming and adopting the kittens out – and only given a specific window of time to do this. This entailed trapping the cats using humane, catch-and-release traps before getting them sterilized and releasing them again. This eliminates almost all of the difficulties with having feral cats around your lawn. Now that there are neutered, they won’t be having any more kittens, they’ll be vaccinated and dewormed so that they won’t spread parasites or diseases, and they won’t feel the urge to spray their territory as much. Don’t be afraid to receive your community shelter or the community involved! That is where you start feeding the cats. Keeping them fed a couple of times a day ensures they are well-fed. This boosts their immune system as well, making them less likely to contract possible sicknesses that aren’t eliminated by vaccines or deworming. And now that they are feeding daily, they are less likely to bother so much with searching. For all those who want to get into the sport seriously, purchasing the airsoft gun is perhaps the most crucial decision. It will play a substantial part in playing the game easily with no hassle. Major reason for which this sport is very popular is the adrenaline rush, thrill and the excitement that this game provides which can only be accomplished with the ideal gun. However, purchasing the rifle is no mean task as several factors need to be considered to assist you pinpoint the perfect gun for purchase. The types and specifications of those firearms vary tremendously. Thus, it’s vital to determine the purpose for which you intend buying the gun. The various types of airsoft guns include sniping, covering fire, CBQ, support gunner, etc.. The kind and volume of airsoft ammunition it can hold is also crucial. Getting a clear idea of your approach to the game can enable you to buy the right type of gun. It’s necessary to decide on a budget of this airsoft gun before purchasing one. The budget allocation should not only depend on your worth but also the extent to which you plan to get involved in the game. There is no need to invest a huge quantity of money of you plan to indulge occasionally. Initially, it is best to opt for a cheaper version. It’s because the gun will break as you are learning the ropes. Once you’ve got your game right, you could always select the advanced and expensive model. Sometimes people make the mistake of opting for the versions with the greatest amount of power in their funding. While the importance of the power can’t be overstated, they will need to fit your bill. Moreover, the less expensive versions can not match the power of the expensive models though they make up for it by enabling you to make close range shots. It will become important as the accuracy increases because of it which is what counts. Get the speed level of the gun determined and then find out if that speed provided is appropriate or not. The level of velocity has to be according to the age of the user. Often this information is also found at the back side of the box where the gun is packaged. This advice was given by the professionals. Additionally, it helps you in specifying the rate of the gunshot. You cannot afford to skip on examining the general reliability of the gun. This may look inconsequential, but different airsoft guns are known to have different reliability records. Thus you need to verify beforehand that the airsoft gun you’re contemplating buying can provide a consistent rate of fire. This difference occurs because of the different materials used in creating the gun like plastic or metal that directly impacts the reliability of the gun. While purchasing airsoft guns, safety has to be given top priority. An individual has to realize that airsoft weapons fire projectiles which may cause injury. It is best to check with local authorities or law enforcements and know about the legal restrictions on non-lethal weapons and their accessories. Frequently the gun tips may be interchanged with strategic colored versions to ascertain the teams before game play. They can later be switched back. If you’re planning to see numerous countries it could be wise to consider investing in an Interrail Pass, or what non-EU citizens call the Eurail Pass. An Interrail Pass will make your train voyage easier. However, if you’re on a tighter budget, individual tickets may work out cheaper (especially if you’re mainly traveling east of Germany). Consider your budget and do some research before you book your rail pass. Train tickets and seat reservations are two distinct things. A ticket permits you to board a train, and a reservation guarantees you a seat on a specific train. Before your trip make sure you understand whether your train requires, recommends, or does not accept seat bookings. If you can, try to reserve your seat, especially if you’re traveling in uber-popular countries such as France, Italy or Spain. For most trains, you’re not required to book your seat, however, boarding the train and hoping for the best isn’t a good idea. You might be told to get out of your chair mid-journey if someone else has reserved it. By reserving your place, you can choose whether you would prefer an aisle or window seat. You can sit back and enjoy the ride knowing you won’t be interrupted to move. However, it is important to watch out for pickpocketers, especially with trains which stop in major cities. Don’t leave your luggage unguarded on the train or in the channel. On night trains, even if you would like to sleep, make certain that you secure baggage into the rack with a little bicycle lock. To have peace of mind, put on a waist pack under your clothes to keep your passport, phone and some other important documents protected from any potential burglars. Going from country to country or city to city is a fun and exciting journey. However, the trip can become tiring if you’re carrying a heavy load. Pack the essentials and leave any items or products which are not needed behind. Depending on the train you’re traveling on, there may be limited storage space in over-seat racks and shelves at the ends of carriages. Rather than carrying a big and heavy bag, a quality lightweight backpack is another way to lighten your load. Traveling through Europe provides sensational views; however, it’s a good idea to bring some important items that will help you pass the time especially if you are embarking on a journey of over 2 hours. Vetiver oil is full of fragrance, and for that reason, an additive in body perfumes, perfumed soaps, oils and air fresheners. However, with research, Vetiver is effective in the treatment of ADD. Due to its aromatic influence on the brain, it calms, ground and balances the mind. 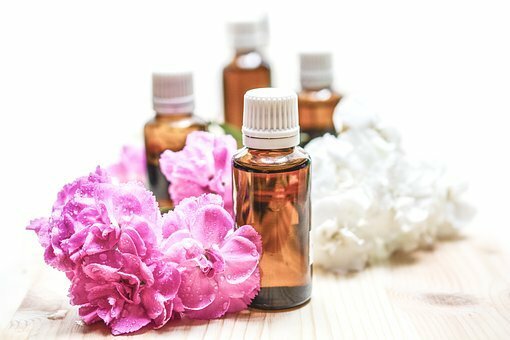 To use Vetiver essential oil, place five drops inside a teaspoon of carrier oil, such as jojoba and then apply that to the bottom of the neck. Most users call it “the oil of renewal”. Basil oil reduces anxiety, fear, and nervousness efficiently. It calms the mind and the heart hence making it able to overcome stress and fatigue. Basil essential oil is helpful for individuals suffering from nervous disorders. For a long time, Lavender has been helpful in eliminating nervous tension, treating respiratory problems and improving good blood flow. To reduce instances of nervous tension, emotional stress and restlessness, place a few drops of Lavender essential oil on a pillow before night sleep. According to study, eucalyptus oil affects the autonomic nervous system, and that is why it’s the ideal remedy for treating insomnia. Due to the calming nature lemon is effective in eliminating mental fatigue, exhaustion, nervousness, nervous tension, and anxiety. It refreshes the mind, increasing concentration, and alertness, an essential need for people with ADHD. Add lemon essential oil in a room air freshener. It soothes the mind and improves focus. Additionally, the rosemary enhances alertness and enhances performance for total quality of memory. For effective results, one can inhale the oil directly. Common oil among spiritual people, frankincense essential oil, alleviates anxiety and depression. Furthermore, it increases instinct. By lowering anxiety, it functions as a great sleep aid. The oil reduces heart rate and high blood pressure without any adverse side effects. Massaging or a hot shower of Frankincense essential oil is an effective way of using it. Nonetheless, the oil a room diffuser works flawlessly! With most of its use in perfumes and fragrances, the yellowish-orange oil has a viscous consistency and is vital in balancing and soothing the body. The myrrh balances the most critical hormones in the body. Balancing hormones, in turn, provides a sense of calm and concentration. Mixing it with Lavender works flawlessly in space diffusers while mixing Myrrh with coconut, which makes it an effective massaging oil. It eliminates anxiety, causing a relaxing and joyous feeling. Besides, the oil strengthens the nervous system, and fixes damaged regions of the nerve. As a stimulant, it induces sleep and enhances concentration. Owing to its volatile nature, it functions nicely in a room diffuser. Its regular use is as a breath freshener. However, peppermint essential oil has extensive application in the area of health practices, culinary arts, and cosmetic practices. Peppermint promotes energy levels, increasing concentration, relieving mental fatigues and restlessness. These aspects make it effective in dealing with ADD and ADHD. The concentration of Peppermint is naturally high, thus mixing it with carrier oils such as almond, makes it highly effective. To be used, either, use the oil topically on the skin or inhale it directly from a bottle. The oil is an ideal antibacterial, arousing, antispasmodic and antiseptic. In dealing with ADHD, Cypress essential oil induces a feeling of calmness due to its sedative effect. Also, it eliminates anxiety, anxiousness, insomnia, emotional stress and difficulty in concentrating. Among the various ways to utilize the oil, the most successful are either massaging it on the skin or inhaling directly from a jar. With great soothing abilities, Roman chamomile essential oil calms the mind and the whole body, in turn, increasing concentration, a need for those who have ADHD. Moreover, Roman chamomile treats insomnia efficiently. Among ways to use this essential oil, is adding 4-5 drops into a glass of water or hot drink or employing on the skin directly. Because of its sedative properties, it reduces nervous convulsions, anxiety, anxiety, and hysteria; hence making the mind alert! An alert mind is a focusing mind, just what people who have ADHD need. To efficiently utilize Clary sage oil, use it to a pulse point, rub on the skin directly, or employ few drops to the pillow at night. This oil forms a perfect blend with roman chamomile. While using the mixture, add a few drops to bathwater. 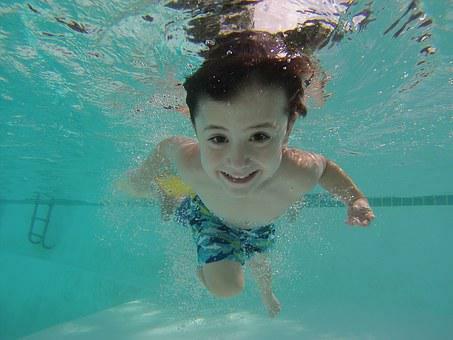 Children love water from the bathtub to the garden hose, and out of the water table to the pool. Since water has always been a fascinating thing for kids of all ages of course there are tons of products on the market to improve the experience. From bath toys and rubber ducks to scaling walls and floating basketball nets, water toys are always fun and always readily available just about anywhere. Little ones like the squirting and lots of toys made for the bathtub even if they are in a pool and do not forget the many, many different baby floats, little boats and learn how to swim aids that you can purchase. For many parents, having the float with the integrated sun shield, canopy or small roof is a bonus as it cuts down on the sun’s rays as well as the glare of sunlight coming off the water itself. Baby can be shaded when bobbing around with mom or dad. As kids get older they can exchange in the floating boat for a flutter board or pool noodle as they learn to swim. Of course kicking legs while holding onto the side of the pool works too but using the flutter board you can actually move around! And who doesn’t enjoy the flexibility of this pool noodle? It can do so much and is really simple and easy to use, every pool has to have these ingenious creations. Boats and floaties are always fun, and as the children get older many desire to play their favourite sports such as basketball and volleyball right in the pool. Nowadays, companies have come out with things such as rock climbing walls to further up the fun value in a pool and of course there are always diving boards and slides which are great fun in the summertime. We’ve already established that pools are fun and great place to enjoy yourself, but of course safety should always be in the forefront. The first thing is to ensure that the pool area is completely fenced in with a gate that is locked at all times and can’t be opened by anyone but an adult. Second is to neverleave children unattended for’just a minute’. And young children and babies shouldn’t be more than an arm’s length from a responsible adult, at any time in the deck or pool area. Check out Wildlife Control New York City NYC to get any critters out of your pool. Since the first of nine children, it is fair to say that having a sister within a year of me has supplied 37 decades of ongoing insight and expertise into interacting with girls. Additionally, my 20 plus years as an adult in the workforce have always shown a self-perpetuating patriarchal mindset that asserts men are superior to women, denying them respect and justifying unfairness towards them. That is something my sister has never submitted to, her inherent self-esteem and confidence dismissed that kind of indoctrination. Happily, confident women like her have contested this bias with their efforts and presence, reminding all of us of the need for justice and personal development to successfully achieve our collective potential. Sadly, not all men have managed to cultivate these support for equality, rather actively engaging in the sabotage of their own grandmothers, mothers, sisters, aunts, nieces and daughters. In this article I will share three areas of insight and action that may allow for a greater collaboration between men and women in the workplace, supporting a much needed culture of inclusion, diversity and equality. Offering consistent respect is the first subject of importance, one that needs to be considered a fundamental human right and a compulsory condition for any interaction. Regardless of one’s title, gender, religious adherence, sexual preference, socioeconomic or political place, such esteem allows for healthy boundaries of physical security and genuine intellectual and psychological consideration of another’s contribution. I have found it quite natural to extend this same amount of respect to everyone that I’ve worked with (including naturally, women) and that this exact same level of respect was reciprocated. As a result we were able to create a work-life culture that encouraged both our professional and personal happiness. Collaborative ideas were validated and easily executed, production and sales goals were frequently exceeded and customer retention has been increased, all resulting in greater earnings and more financial rewards for ourselves. I began with this field of respect because I am absolutely convinced that using it current counteracts and resolves many work related concerns. The type of honest and prioritized wisdom that values respect also leads to my next area, encouraging the acknowledgement of ideas. This definitely means more than simply listening. The majority of us would agree that women are generally more verbally communicative; one important element of this is that they tend to share more with those that they feel particularly trusted and respected by. The reason why this is of great value at work is because women are educated and active in many consumer activities with regularity on a scale which guys are not, letting them control a large degree of our gross domestic product. A short visit to your local shopping center will attest to this obvious truth, while online retailers like eBay and Amazon are predominantly geared towards girls. Given this, their creative input is a crucial source of potential data and innovation just made useful when it’s in fact heard, affirmed and acted upon. Allowing them to share their thoughts will create advantage and a driven form of unity when those ideas are acknowledged and integrated into methods and production. Our openness to celebrate and reward collaborative efforts equally is the third area to consider. This creates a cultural shift recognizing and affirming the value of women and men working together towards mutual goals. Up until recently the standard of inequality in the office ensured a competition between men and women that was rigged, offering a patronizing kind of reinforcement that girls still haven’t seen rewarded consistently in their paychecks. As all of us recognize how our attempts are made meaningful, it is time to really emphasize our successes based on the first two regions above and transform those into changes that steadily reward girls on an equal footing with men. While eating healthy and watching your sugar consumption are ideal, sometimes we need to reward ourselves with sweet treats without feeling guilty. 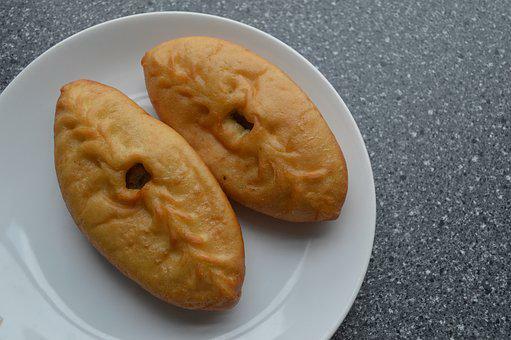 While you’re at it, forget cakes, chocolates, cookies or ice cream for now and try something special – fried desserts! Try these easy to follow recipes and your sweet tooth will surely thank you for it! In a shallow bowl, combine all-purpose flour, corn flour and baking soda then carefully add milk to produce a thin batter. The batter should still have the ability to abide by the candy bars rather than drip off. Heat vegetable oil in a deep skillet to 350F. Dip candy bars in the batter to coat then deep fry for two to three minutes or until golden brown. Allow to cool for at least 10 minutes before slicing into bit-size pieces. Put apricot in a saucepan then add just enough water to cover. Bring to a boil then lower heat and simmer until apricots are tender, about 30 minutes. Reserve tablespoons of the liquid and discard the rest. Place apricot and reserved liquid in a blender and pulse until smooth. Add in white sugar, butter and cinnamon and pulse again until all ingredients are well-blended. Put 1 tablespoon of apricot mixture in each pie crust square and fold each in half diagonally. Press edges with a fork to seal. Heat oil over medium-high heat in a large pan and cook triangles until golden brown, 2 to 3 minutes per side. Transfer to serving plate and sprinkle with confectioner’s sugar before serving. Peel plantains, slice in half then slice each half lengthwise into thin pieces. Heat oil over medium-high heat in a deep skillet then fry plantain pieces until browned and tender. Place fried plantains on paper towels and sprinkle with brown sugar before serving. Satisfy your craving for sweets with these unique and irresistible fried dessert recipes! Medical marijuana doctors in florida love sweets also! New Job Got Ya Nervous? 1. Finding an early night can enable you to attend sharp to your first day on the job. Apart from being sharp in the office, it’s imperative not to be shy also. Attempt to display your confident nature by reaching early to the office. Additionally, make it a point to stay late on the initial days of the work too. 2. The proper dressing should be your important next tip in this context. Your proper dressing means that you ready to represent your company with a positive image. Dress often brings the initial impression and makes it sure that you will be good at it. 3. Now, still, you need develop your elevator pitch on the first workday. This could help you engage well with your co-workers by making them come up with some professional questions. Placing the first conversation about you can help you interpret the ambience into your favour. 4. Politics are everywhere and office not exemption here. It is important for you to understand and judge the social landscape of your new office. Succeeding and excelling well on your job will be seamless once you get along quite nicely with your co-workers. This should be added with understanding positional hierarchy too. Therefore, in this aspect, you want to ask co-workers’ names and designations too. This will produce clarity to the certain extent about getting along with other people at the workplace. 5. You were hired to play a certain role. So, know well your requirement at work as quickly as possible. This shows your attentiveness as well as your professionalism. This is a very important impression that you ought to achieve. 6. The first day at any new place deserves serene observation. You should observe all around. Try to understand, how things taking place like decision making and some more. This sort of observation will allow you to perform well down the line. 7. It’s important on the first day to get invaluable insights. Try to talk to peers. Your path towards successful working can be initiated from this aspect. 8. It is essential to show your enthusiasm on the first day. In actuality, your first day is a chance to request help as well for compelling questions. When you combined recently, everyone return to say something or to provide help. This should be used sensibly. Ask questions about your role and do not forget to observe everything that has been told by other people. 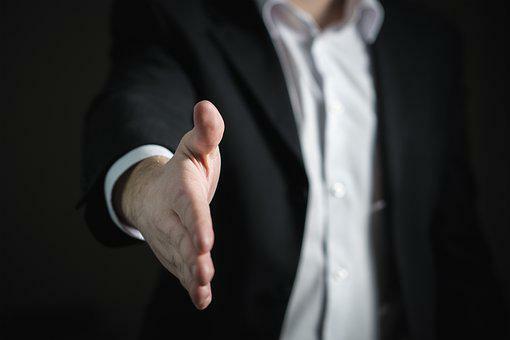 This will produce a best first impression for you besides displaying well your excitement to begin working. 9. The first day may eccentric or confusing for many. But, it’s always the fantastic thing to acquire one or two small wins. Do not jump to fix massive issues. Consider focusing on little issues those are your own strength. Completing and delivering these small wins can stand the best impression achieving steps for you at the new office. Importantly, these tiny wins can boost well your assurance levels also. 10. Talking about your interests and values during your introduction with others can establish serene image for you. It informs to all that your career program is strongly connected well with your values and passions. 11. The job is offered to you by expecting something in return. It is important for you to understand what the organization and other co-workers need from you. 12. Do not forget to arrange and bring your whole essentials those are requiring for your job. By way of instance, glasses are must for you, then remember them at any cost. It is same with other essentials. 13. It’s essential for you to be with presence of mind. That is mainly about, the best way to respond with other people. Your presence of mind is all about respond in exactly the same way other is. By way of example, somebody is witty, then you want to answer witty too. 14. You need to be bit more talkative than what you usually are. You will need to learn and understand a good deal. Talking is the only way to understand others. 15. Try staying late on your first day on the job. You may use it sensibly. Compose some thank-you mail. Send this mail to all those helped and interacted with you by staying late. Also by teaching How to Make Pot Brownies can help reduce anxiety. If you can try to make it outside before the sun raises, you may see the turkeys getting from the trees and see where they’re heading and try to make it out when the birds are preparing to roost. Watching the turkeys for these few weeks gives you the ideal spot to put your blind or where you want to sit on the ground. Should you end up walking out to where you may want to sit make sure that you clear away all the branches and leaves, so once you do go out you won’t have all this noise. Second tip, ensuring you are wearing the right clothing. Some people today think sitting in a blind way they can wear whatever dark clothing they want but that is not the case. You want to be sure you are wearing the right camouflage that suits the foliage around you. When wearing dark clothing in the blind you create a shadow figure when you have the windows opened. I know some of you are thinking you do not have the windows wide open but even when you have them half way opened, there is enough light to make a shadow of you and the turkeys can see that should they look into the blind. Plus wearing camouflage provides you the option to hunt at the blind or on the ground. Third tip, having some turkey decoys to sit out is really helpful. Some may ask how many decoys do you put out, well that is up to you. Some hunters will put out 2 to 4 hens using a jack decoy or a complete strutting tom. Having a jack or tom decoy helps draw in a jack or tom since they don’t need that other bird getting the hens. But in the end putting the turkey out decoys the way you want is what is important. Using the right turkey calls. There are 5 distinct types of turkey calls and they’re the push button call, Wildlife Control New Smyrna Beach FL, box telephone, friction/slate call, diaphragms/mouth call and locator. Push button calls create a realistic yelps, clucks and purrs with a simple push of a button. Box calls are flexible, great sounding and relatively simple to use. Putts, purrs, clucks and yelps come to life with box calls. Friction/slate calls are known for their realistic high-pitched sounds which take well over space. Diaphragms/mouth calls permit hunters to produce soft clucks and purrs that can reach high frequencies. They serve as good long range calls. The locator call does exactly what the title says, it finds where the gobblers are. All these calls are good and will take some practice. But in the end you use what is going to work best for you. Now that you have the basics for turkey hunting, get out there and begin scouting and practicing on those calls. As always be safe and good luck. Many people approach measuring fish with a relaxed approach and risk hefty fines, particularly if the fish is borderline size. There’s no grey area when it comes to legal size of catch. The difference of 1cm can have you in trouble, and is simply not worth the risk of a fine. Sustainable fishing means that fish are harvested at a sustainable pace, so the fish population doesn’t decline over time due to poor fishing practices. Imagine a world that’s over-harvested along with the corresponding devastation to the eco-system and to our future generations. It’s the responsibility of each and every one of us to do our bit to protect Earth. Size limits are typically based on biological research into the reproductive cycle of each species. Minimum size limits generally allow fish to spawn at least once and contribute to the population before they’re taken. The biggest mistake when measuring the amount of your catch is where people do not use a flat surface to measure the fish on. Ensure that in the event you use a mat, that it is not crumpled causing you to potentially overestimate the size of fish. Using a good measuring implement is the best way. As fish have a tendency to contract if placed on ice, err on the side of caution and allow an extra inch in the initial measure. Close to the jaw of the fish to ensure an accurate reading. 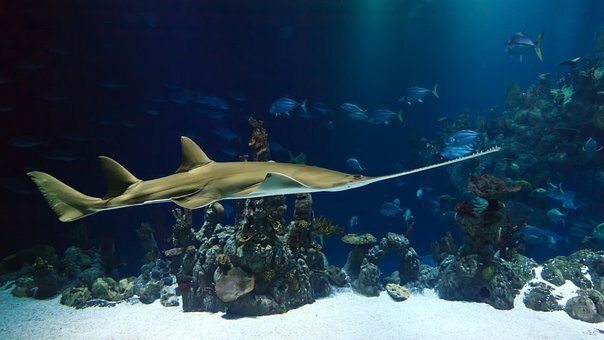 The total measurement of a fish, while it is fork tailed or around tailed, is taken from the exterior of the snout on the top jaw, to the extreme tip of the tail. Medical Marijuana Doctor Palm Bay FL site will probably have an outline on the best way best to measure an array of sea life e.g. crabs and squid as well as fish, so it might be worthwhile printing out a copy and keeping it in your tackle box for reference. To assist in survival of your catch, prevent holding the stomach area as you will almost certainly damage internal organs, which reduces chances of survival dramatically. Use a set of long-nosed pliers, or a purpose made hook-release to quickly and efficiently remove the hook. If the fish gets hooked deeply, cut the line as close to the hook as possible and leave the hook in the fish because it will probably do more damage trying to remove a deep hook compared to leave it where it is. 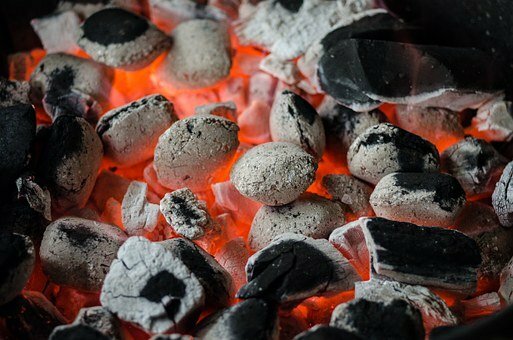 It’s summertime and that means it’s time to break out your charcoal or gas grill and get to grilling. According to the Hearth, Patio and Barbecue Association, over 80% of U.S. households own a grill, with nearly half of those people grilling at least 1-2 times per week during the summer months. This summer, I want you to be safe and enjoy your grilling adventures. Grilling is a tasty way to prepare your meals, and cooking outside also keeps you from heating up the house by turning on the stove or oven. There are a couple of dangers associated with grilling that you may not be aware of! They aren’t enough to save you from grilling, but it’s essential to be aware of them. BBQ smoke contains Polycyclic Aromatic Hydrocarbon (PAH) which is a cancer forming agent. Fat from cooking meat drips on to the coal and generates airborne PAHs, which you then inhale. The drippings often develop on the bottom of the grill, increasing the amount of smoke that creates. Make certain to keep your grill’s drip pan clean to prevent not only smoke, but also inadvertent fires which may spring up if those fats catch fire! Many men and women love a nicely charred steak. It not only makes your grilled food look more appetizing, it even makes food tastier. Unfortunately, Heterocyclic Amines (HCA) form when you char your food. HCAs form when meat and high heat are combined to make a blackened crust. Even though the research testing was done on lab animals exposed both to PAH and HCA, studies do show that eating charred meats may be associated with increased risk of certain forms of cancer. Here’s the good news: There are steps you can take to reduce the risk of HCA and PAH formation so you can still enjoy the grilling season to its full potential. • Clean your grill: Be sure that after each use, you wash your grill and remove the excess food that remains. • Reduce the fat: Trimming the excess fat from meats is very important to your health and choosing lean meats is best. • Melbourne Wildlife Control: Using herbs like basil, mint, rosemary, thyme, oregano, and sage on your marinades greatly reduces the development of HCA and PAH. The antioxidants found in these herbs also work to prevent free radicals from developing when your meat hits the heat. • Be fearful of flare-ups: Avoid flare-ups since they tend to cause more smoke and burn food. The burnt food can usually be seen as black pieces that look like charcoal. Be certain that you remove these bits from your food before eating. • Marinate your meats: Using marinades that are based with olive oil, citrus juices and ginger can help decrease the creation of HCA and PAH. It is very likely that the marinades act as a”barrier”, keeping flames from directly touching the meat. Preparing to present a devotion in a craft group following a presentation by a funeral director, I decided to run with the stream, and get people engaged in the imminence of their death. Nothing arouses thought for the transient nature of life more, for me personally, then the panpipes instrumental, The Lonely Shepherd. Any time I hear this music I instantly think of my passing. And such a thought is a blessing. It is not a morbid thought. It is the thought grounded in the truth that God could eliminate my breath and stop my heart inside a second. Or, cause me to be diagnosed with cancer tomorrow. These are these humbling realities. It places all our stresses and complexities and conflicts into context. The question which arises for me from the thought of my death is,’Am I cherishing the fact that I am alive?’ Am I holding life gently? Am I too buried in my job? What am I putting off that I should not be? Who is it that is really going to miss me when I’m gone? And am I making time for these people today? Have these people seen the best of me yet? Have I made all efforts to reconcile with those I’ve aggrieved? Am I making Melbourne FL Animal Removal known? Am I aware of should be? What should I do before I die? Have I got any regrets about life? Can I do anything about them? Have I truly accepted the consequences of my actions? Is there joy in my life? What can I do to connect to peace, hope and joy? This is the most pulsating fact of life: you and I’m alive, for such a time as this, and soon it’ll be over. As we all know, with parents and grandparents having passed away, or those getting ready for this event, life seems long, but from some perspectives of irony it’s very short indeed. It isn’t a morbid idea to plan for one’s funeral; such a thought reminds us how precious life is, and it causes us to cherish the fact that we’re alive. Unfortunately, he informs you that he is not available. Since you cannot wait till the next day, you opt to try another barber in exactly the exact same barbershop – one whose work you’ve seen before. That’s when you start thinking whether if changing your barber would be a fantastic idea. As difficult a situation as it may look, 1 thing you need to bear in mind is that that’s your own hair we are talking about. Whoever you decide to work on it, therefore, is a decision that should be respected. Having said that, the moral aftertaste of such actions is often too powerful to ignore. To remove possible awkwardness, use the following tips whenever you’re considering changing your barber. Give them a Heads Up – We’re all human and as such have the freedom to change our minds if we deem it the right thing to do. However, injecting some decorum into the decision won’t hurt anyone. Offer your barber a call and inform them of your choice. If they’re professional, then they will respect and appreciate the heads up. Do not just show up two weeks later and walk right to your new barber’s chair without informing the soon-to-be old barber. Although they will not show it, it usually is an awkward feeling. Be Open to Try out All Barbers – This tip works best if you’ve just moved to a new neighbourhood. This leaves you a bit of room to modify barbers whenever necessary. The downside to this is that you will need to give directions more than a than a few times to every barber. 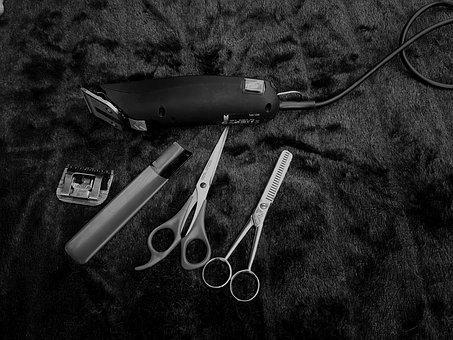 You, therefore, want to be sure that they are all capable and that their hair cutting skills are not just above average. Create a Transition Phase – By developing a transition phase, you ease the pressure on your own in addition to your barber. You can achieve this through a range of ways. It is possible, for instance, have the new barber work on your beard since the current one does your haircut. On another trip, have the new barber do your hair and save your beard for your existing barber. With time, both will get used to the situation, and that is when you can pull the plug without too much fuss. It’s crucial to allow this transition phase last only long enough. If needed reach out to Melbourne Wildlife Control to help out. Many people will have observed the Real Housewives series of programmes or seen the media and magazine coverage of their antics and lifestyles. The tales of those’real housewives’ and WAGs may fill us with a combination of horror, envy and disdain as we see their reported options and excessive ways, particularly as they are often seen as role models for young women. We may speculate that their outrageous behaviour is done to keep public attention and help fortify their celebrity status. 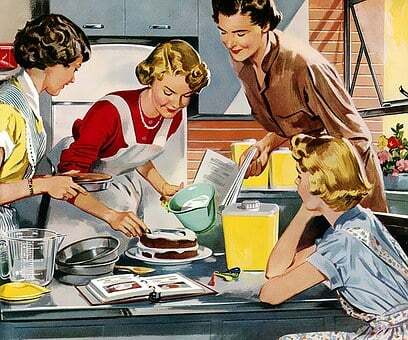 But if we dig a bit below the surface, behind the glamour and glitz, we could see that actual housewives have their particular concerns, issues and anxieties. Indeed, some are living out personal emergencies, making life-changing decisions as well as with their time on the show to raise their public profile and gain exposure for their own existing companies. 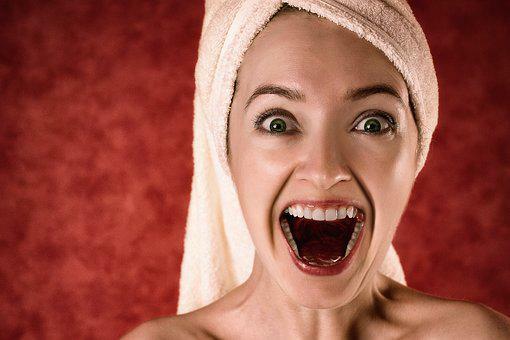 Oftentimes’Real Housewives’ can appear detached from reality and normality, residing in a continual flurry of visits to expensive shops, restaurants and beauty salons. Maintaining such a high-profile lifestyle involves plenty of pressure to maintain appearances and be regarded as living the fairytale existence. Being photographed partying, drinking cocktails, maybe spending their husband or partner’s cash in a whimsical self-indulgent flurry of activity, bickering over trivia, seeming to sulk if they are not treated to appropriate gifts or get what they want can make them appear spoilt, selfish and childish. We’ve no doubt noticed in magazines and on social media how lots of the younger WAGs and Real Housewives appear to look exactly the same, morphing into each other with identi-kit hairstyles, dress designs, breast size, sporting smooth, wrinkle-free faces and pouting lips. Frequently one is indistinguishable from the other in a group photograph. This may be their goal, providing reassurance that they’re doing it right, after the perfect guidelines to be part of this elite, exclusive group, much like young kids who need to wear the very same brands so that they feel they belong. However, these choices can indicate insecurity about using an individual look and identity. If they looked or behaved differently what would be the consequences, would they be okay, good enough? They may live in constant dread of their appearance changing, of putting on a little weight, of finding a grey hair or the smallest wrinkle. How could someone find the time to retain their personality and identity whilst still maintaining constant surveillance over every aspect of their image. Being the perfect wife, mother, woman means never really relaxing or letting go of hands, otherwise things may slip and someone else may be there, ready to step into their shoes. Whenever we choose to judge someone else it’s inevitably done from our own standpoint, but when we go through tough times, difficult emotions and pain it is a really personal, relative experience. If we dismiss or belittle another individual’s problems, attempts or situation because of their apparent good luck, attractive appearance, wealth, status or perceived lucky breaks we are doing ourselves and them a disservice. Few people are so secure and confident in ourselves and our self-belief, so emotionally resilient that we remain unaffected by the hardships life sometimes throws our way. Deep down most of us want love, kindness and approval; we crave reassurance that we are okay. As a true Housewife there is continual pressure to look the part and never age. Maintaining this has to become onerous, tedious and exhausting at times. Every aspect of their life, their wardrobe, personal fitness sessions and remedies can fill every day, becoming a fulltime job. Frequently everyone else has an opinion, wants to give their advice, become part of the group, so presenting a magazine/Stepford wife persona, living the fantasy. Every so often a Real Housewife is seen to step away from the lure of fame and leave the limelight behind, or they decide to use it to their benefit and produce a charitable or business initiative, create a product, write a book, use their position as a force for good. Then you will see her transition and become more than her public persona. In leaving behind her character from the show she can reclaim her name, establish her identity and be recognised for her talents and attributes in her own right, no longer part of the brand! Maybe she’ll contact Melbourne FL Wildlife Removal for wildlife issues. Think Your Cat Is Depressed? What if recently, you have been noticing your pet sleeps abnormally (more than normal ), eats less, seems sad, and spends most of its time moping around the house. All these behaviors are totally opposite to his or her normal behavior. Undeniably, you may begin to worry! This problem is not dissimilar to that of people. You are used to seeing your pet happy because he or she’s always there for you whenever you are down. The mere thought of seeing your furry friend crestfallen makes you sick. Now it is your turn to be there for her or him. How do you cheer up your best friend? What are some of the techniques you can use? Among the most effective ways to cheer up pets is by spending more time with them, particularly when they’re depressed. Now, more than ever, he or she needs you – your undivided attention. Spending quality time together shows your pet how much you love and cherish them. To transit from the pits to his/her joyful, joyful self, simply give your pet your support, care, and love. Whether you own a cat or a dog, taking him for an enjoyable afternoon out in the park is a powerful way of cheering him up. At first, the pet will not seem enthusiastic. However, as you two enjoy each other’s company, you will be surprised by how jovial he’ll turn out to be. Some physical exercise, a change in environment, and some quality time with you, will go miles to bring back excitement in your pet. Did you know pets and dogs are extremely smart when it comes to telling if you are happy, just by taking a look at your face? Consequently, when he is depressed, avoid frowning or showing him or her that you’re sad. An efficient way to cheer up your dog is by staying happy yourself. 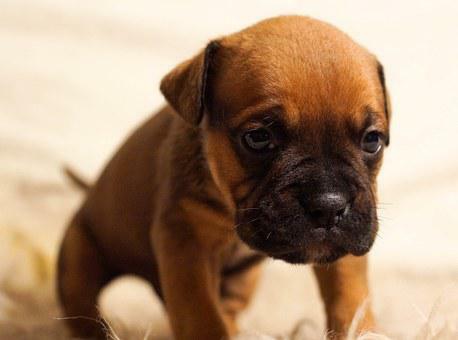 Is your dog or cat miserable because he or she lost a companion or relative? If so, then you need to take your pet to the park, or into a daycare centre, where they can socialize with others. According to research, animals like same-species companionship. Therefore, you shouldn’t hesitate to try out this strategy. This strategy is more of a positive reinforcement. It’s important to be aware that you shouldn’t be overly sympathetic as this will encourage others to stay depressed so as to enjoy the same attention. You need to show him or her how happy you are anytime he or she eats meals properly, or plays with you in the park. Does your cat or dog have a favorite toy? Most pets have a tendency to find comfort in familiarity. They’ll be more cheery if they are around their favorite toys. In precisely the exact same way music soothes and calms human beings, most pet owners admit that music is also magical to pets. Surprisingly, you’ll have the ability to lift up the disposition of your pet by enjoying him or her some soothing music. Just make certain that the volume isn’t too high. The last thing you need is to make matters worse. If at all possible, bring your whole family with you when stepping out for a ride. Along with enjoying the family’s company, he or she’ll also enjoy the fresh air. You have to find ways to cheer them up as soon as possible. The above are some basic ways that you can cheer up your pet. Contacting Wildlife Control Gainesville FL helps also. There are hundreds of natural chemicals in chocolate, and they affect our brains, as they exude neurotransmitters. These can influence our feelings and make us feel happy. The raw, unprocessed beans from the cacao tree are among a variety of so-called’superfoods’, so that they belong to the same class as the humble broccoli florets that lots of children hate. Cacao beans contain potent antioxidants more than can be found in green tea or red wine. Antioxidants are, quite simply, compounds, either man-made, or in this case, natural, which function to prevent, or delay oxidization and thus they help fight the aging process and free radicals in the body, which may cause cancer. Dark chocolate rather than milk chocolate is better for our health because it contains more of the cocoa bean than white chocolate. Researchers feel that the flavanols present in dark chocolate stimulate the endothelium (the arteries lining), thus producing nitric oxide (NO3). This, in turn, transmits messages to the arteries, instructing them to relax, so reducing blood pressure. A hundred g bar of dark chocolate containing 70-85% of cocoa has various minerals in it, including selenium that is a proven mood enhancer. It’s 98% of the recommended daily dose of manganese, 67% of the recommended dose of iron, 58% of the recommended dose of magnesium, 89 percent of the recommended dose of copper and a huge 98% of manganese. It also has zinc, phosphorus, and potassium it. To put it differently, dark chocolate is good for us! Caffeine and theobromine are also to be found in dark chocolate, but the little amounts of these stimulants are extremely unlikely to keep you awake at night! What’s the link between chocolate and happiness? Well, when you haven’t ever experienced the gratifying feeling you get when you eat chocolate, then maybe you should try eating a small number of dark chocolate. The smooth texture and delightful taste, coupled with the feeling of well-being you get will probably make you a complete chocolate fan! 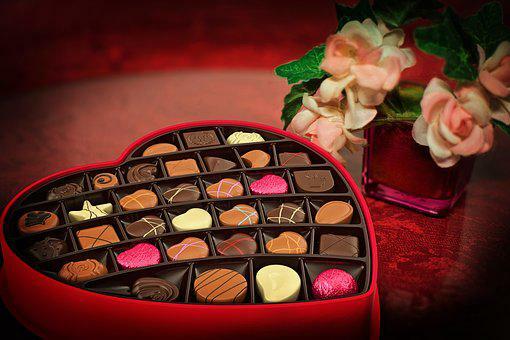 To make you feel better when you’re depressed, there’s nothing better than chocolate! Or using Cocoa Wildlife Removal to get rid of those pesky critters. Did Your Parents Teach You About Men And Women? Recall reading’Family Secrets’ by John Bradshaw and in this book he said,”it was and is the parents’ actually lives that educated you: not exactly what they said, but what they did”. I took this to imply that what my parents did was far more significant than what came out of their mouth. This was something that I had saved in my phone after I started reading the book in 2014, and, after considering the effect that my parents had had on what my relationships were like as an adult, I started to think about this quotation again. However, I didn’t just think about how what they said to me was not as important as how they treated me, however. What also occurred to me was that how they treated each other was just as important as how they treated me. The concept that I formed of myself was partially defined by how my mother treated my father. Also, how my parents treated each other played a big role in my idea of what both people were like. Their connection was incredibly dysfunctional, so that they didn’t serve as good role models in this respect. I don’t know what the term is when it comes to the opposite of a soul mate relationship, but this term would have fitted them perfectly. There was no harmony, respect, connection or love; there was just fightingdisagreements and drama. My father was normally very passive and did what he could to attempt to please my mom, while my mother was normally controlling, cold, and emotionally unstable. After putting up with her control for several weeks, my father would often lose it, and the same pattern would play out again soon after. Needless to saythey were totally oblivious to the impact that their behaviour was having on my sister and I. Through being about these two people – day in day out, year after year – I ended up coming to believe that men were weak and had no value, and girls were controlling and cold. And as I was a man and had identified with my dad, it meant that I was weak and had no value. This opinion was compounded by the manner in which my mom treated me – I was generally treated in the exact same way as my dad was. It was not much of a surprise that I’d go on to have a poor relationship with girls and myself. A big part of me had the need to avoid women and it was common for me criticise myself and to feel totally useless. Thankfully, I ended up getting into self-development and looking into why I was experiencing life this way. This then gave me the chance to do something about what I had picked up and to slowly redefine myself. I know the guys at Cocoa Raccoon Removal were taught well. They are either unhealthy or healthy, productive or unproductive, primary or secondary, direct or indirect. We might come to think of emotions as purely related to just ourselves, but we only need to ask people who are close to us – people in our families and those we work with – and we quickly discover that our emotional worlds are interconnected. This is always a boon for others, and it is usually manifest in the ability and practice of obtaining the log out of our own eye. Jesus talks about this in Matthew 7:1-5. An example of this is rather than diverging to anger, we go into our sorrow. There are so many things which make us feel unhappy in life. Sadness isn’t the enemy. Sadness is an invitation into healing. Our emotional worlds are interconnected. If we acknowledge our harm, experiencing God’s understanding, our compassion is available to all. But if we are unhealthy, and for that reason unproductive, emotionally, we could cost individuals people who are close to us, which is always costly to us. We spew over them all sorts of vitriol, because instead of looking at our own junkwe prefer to notice what our eye doesn’t see very well – that little speck in them, so far as we are concerned – God wants us focused on how we could love better, not on how they may be missing the mark. We take what makes us unhappy, and instead of looking intently at our sadness, which is pain, and instead of staying in that location , we flee from pain. And the only way we could reconcile it’s to blame someone else. We go from the heart, primary emotion of sadness, which can be justified and accurate, however painful, and rather than going deep into it to be free in the tradition of acceptance, we take a shortcut and rationalise the pain as not only unbearable and unthinkable and unpalatable, but also as absurd and unfair and unwarranted. Somebody must pay! And how convinced we become. It is a trick played on our eyesight. We’re seeing the wrong things. If we are hurt, and we remain unaware, we hurt others. We go the right way or the incorrect way. We have all had a taste of moving the wrong way. We’ve got all responded from the wrong types of emotions. We have all taken our anger too far, not to mention having gone the path of anger when more properly it could and should have been prolonged sadness to the destination of approval. Few of us enjoy going to painful places. And I know I am not one of those few who seems to enjoy pain. Yet I do enjoy, at a deeper level, the treatment of God, as He interacts with me when I’m honest enough to experience my sorrow. The actual practice involves coming to a place of complete defeat. Honesty is the open door to reconciling our emotions and our relationships. Coming to the place, which is a sense of grief in oneself, is precisely the purpose of the Christian walk. The grief comes first, then it’s life as God scoops us up in our spirit. In our pride, which prioritises our secondary feelings like anger that won’t acknowledge the truth, we are struck out before we take the first step toward first base. But as soon as our pride is dealt with, and we realise that these primary emotions are nothing to fear, because the pain is bearable even if it feels excruciating for a moment, we enter the secure sanctity of God and His deeper treatment for us. Thinking About Trying A Life Coach? 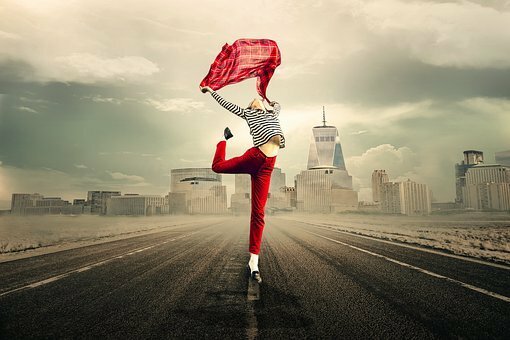 In this article I will give you some background information on life coaching and explain what a life coach does precisely. There are many different focus areas for a coach but most follow a similar procedure which can be used on a variety of issues. A life coach does not behave as a therapist, or other healthcare provider. Life coaching is all about being objective and providing unbiased ideas to the person being coached, so they can use these ideas to boost their results. As an independent observer, the trainer can see things which are hidden from the people involved. The trainer can help you reflect on life so you can proceed in a more objective and focused path. This questionnaire asks lots of questions about various aspects of the individual’s life and work. Normally from these types of questions the coach can find patterns within the responses that identify what is hold someone back from obtaining the goals they want to achieve. Following the intake questionnaire there is usually a meeting between the coach and the person being coached that allows for the two to get to know each other and determine if they could work together as a team to solve the person being coached concerns.The sessions start by determining a couple of goals or issues that will need to be focused upon. Then a discussion will be held around the progress to the goal and what next steps need to be taken to move nearer to the specified goal. Then homework is assigned between sessions to assist the person being trained stay focused and proceed step by step to the goal. There’s a saying in coaching people do not pay for training, they pay for results. This is why there is such a focus on agreeing to a target and working to obtain that goal. The goal has to be clear and SMART so the training results can be determined easily. Small actions lead to finished tasks that lead to fulfilled aims and enhanced results. Achieved goals and focused actions are the primary results of coaching. I hope that this guide has provided some insight into exactly what life coaching is all about. 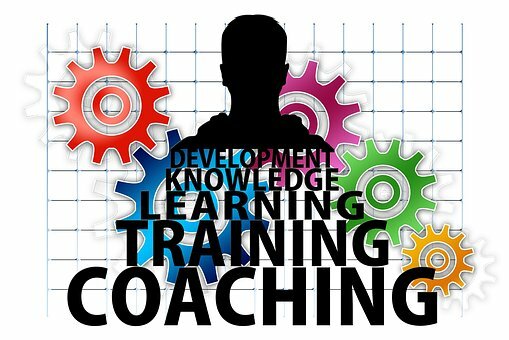 The process of life coaching has been very helpful to a lot of individuals in both their personal lives and business lives. The folks at Satellite Beach Bat Removal have one on hand to help their team grow! From time to time you will have negative thoughts and actually be spiraling to them for days long. But you can free yourself from the turmoil by attempting to concentrate on a blink of positivity for as long as a few seconds to a longer time period of fifteen or thirty minutes of positive ideas. For more insights, continue reading. But you should not lose hope; rather keep yourself together and keep hanging on in an attempt to pull yourself out of the negativity and gradually cling to positivity and reside within it. Of course, it’s easier said than done. It requires practice to replace your negative thoughts with positive ones. Write your fears and negative thoughts down so you could identify them and work on them accordingly. Try this trick: For one negative thought, concentrate on three positives. Negative thoughts are dangerous and you may fall into a loop without ever recovering and instead giving rise to suicidal ideas on the contrary. If that’s the case, you can save yourself by calling at least one dependable person in your life, talking or not even telling about your problem. You get independence from your ideas for the time being and get into a lighter mood. Yes, you’re free from the negative thoughts and you’ll be surprised how soon you begin positive self-talk again. Positive self-talk is so healthy. You stay ingrained on the perfect grounds, carrying out your everyday chores responsibly and thankfully. You smile, laugh and joke with others making their day and yours as well. On the other hand, streams of negativity will keep troubling you, not allowing be yourself or remain grounded. You will be sulky and grumpy and nobody would feel comfortable communicating with you. Positive thoughts are so much more overpowering, educated and relaxing. You can focus on ideas one after another, keeping them consistent and feeling good about yourself. Consistent thoughts this way would be the key to joy, abundance and prosperity. They will always put you in the stream of positivity, helping yourself to get things done admirably and to sing and whistle in your way to slow success. So who doesn’t like having consistent thoughts? In fact, everybody does. Why is that so difficult to achieve? Simply, because we’re chained by our negative thoughts. What can you do then? Simply follow the tips in this report and you are sure to soar. Cocoa Squirrel Removal follows this mantra with great success.